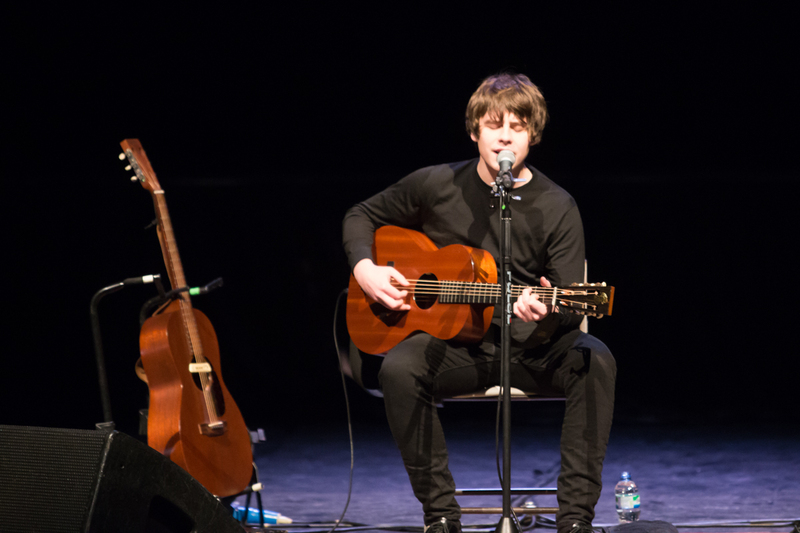 Jake Bugg brings his acoustic tour to a close at The Phil and Getintothis’ Del Pike joins the enthusiastic crowd. 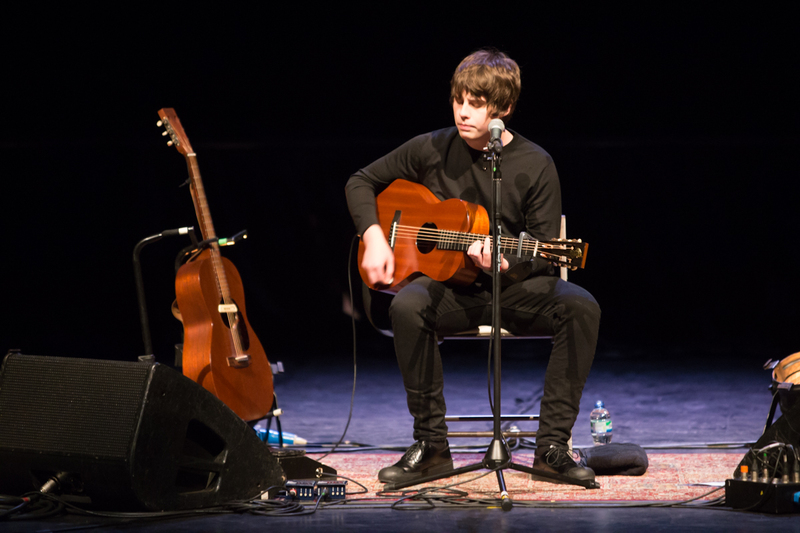 Jake Bugg’s show tonight had possible the most eclectic audience we’ve seen at the Phil in a long time. From the very young to frankly the very old coming in from all walks of life, easily as fascinating as the gig itself, and it was a great gig. 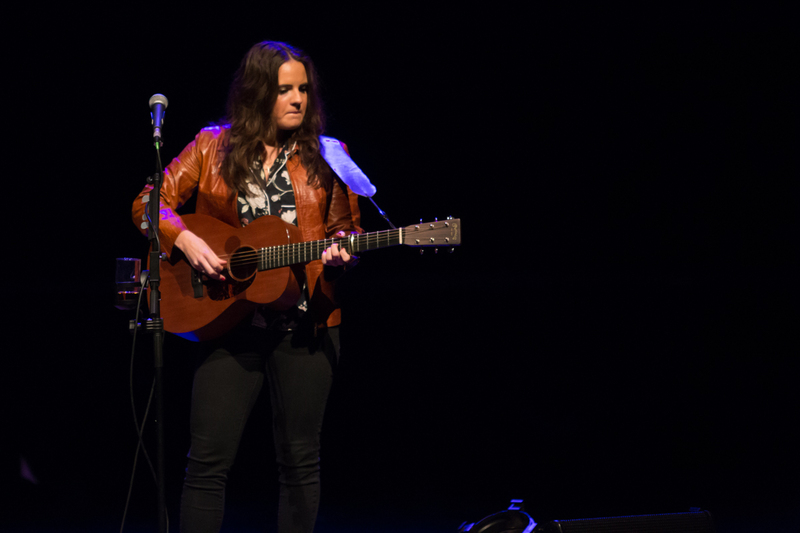 Supported by Jade Bird and Georgie, two hopeful folkies who set the scene for a unique night. 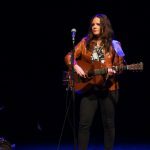 Jade, hailing from London and playing her first Liverpool show tonight, punctuated each song with a giggly intro, making light, the themes of divorce, lost love and being jilted at the altar. 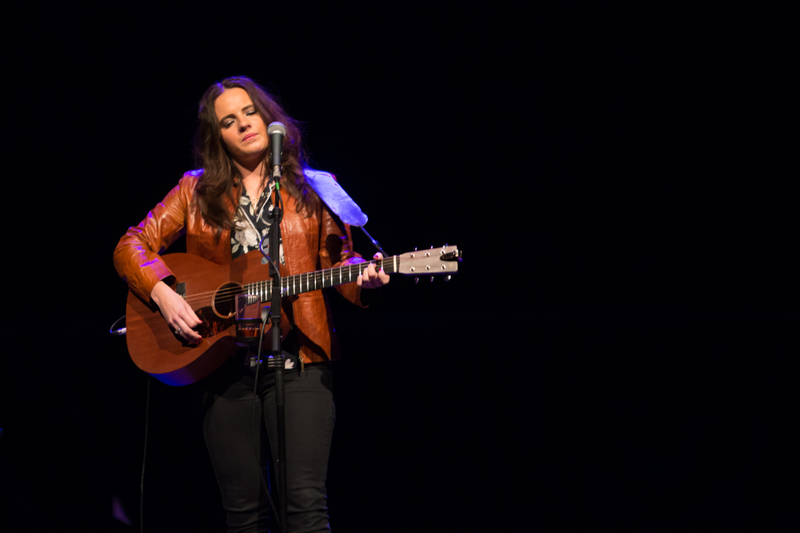 Her infectious laughter was a stark contrast to the bleak lyrics and made for an impressive half hour. Cathedral and Something American proved high marks in the set. 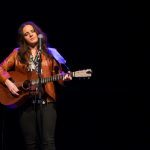 Georgie, coming from Nottingham like Jake Bugg, was an inspired choice for second support, satisfying the visitors from the hometown and lighting a fire for the main act with her country tinged ballads and soft rockers. 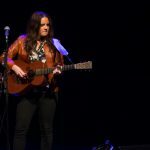 New single Hard Times is a great tune and her set was tight, and polished. 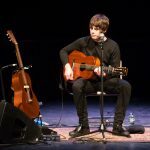 Jake takes to a sparse stage for an intimate (as you can be in the Phil) acoustic set, with just a few lights and guitars to shield him from a lively crowd. 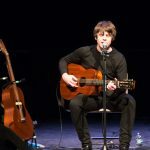 Opening with a couple of songs from the new album Hearts that Strain, including the title track and How Soon the Dawn, half the room fall for his charms immediately whilst others turn off, expecting a more traditional upbeat Bugg show. The group of about six 30 something lads in front of us start talking loudly and continue for the whole gig, pausing only to video random seconds of the gig, look at pictures of cars on their phones and go on Facebook. Presumably they’ve paid for this. 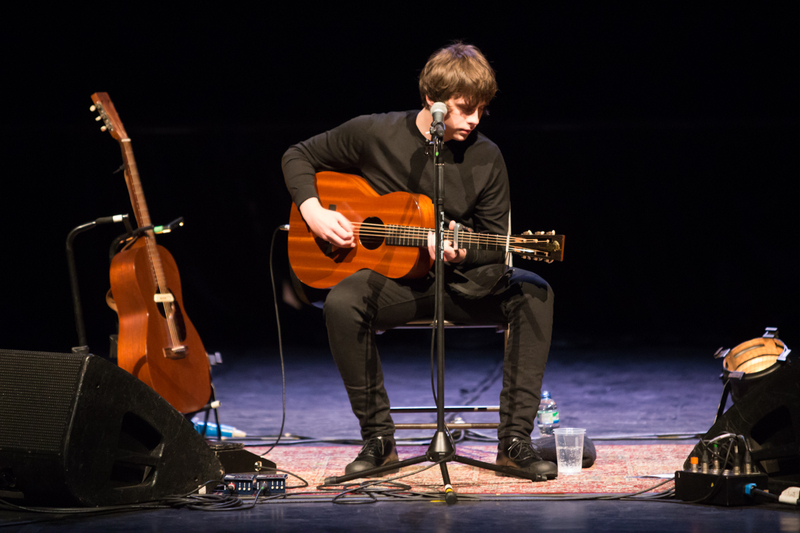 When Bugg launches into more lively songs, cries of “This is more like it” come from the row in front and they are distracted for maybe half a song before resuming conversations. 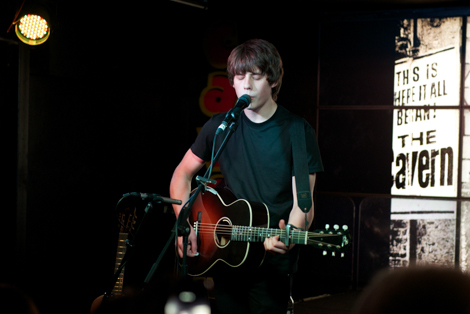 Fortunately, the majority are bang into what Jake is attempting tonight and chants of “Jakey Bugg, Jakey Jakey Buuuug!! !” to the tune of KC and The Sunshine Band’s Give it up, fill the Phil. 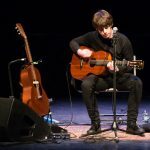 Whilst Jake appeals to a wide audience, including many who wouldn’t look out of place in an X Factor audience, the bulk of his work is as folky as Jansch or Donovan. Songs like Sapphire, one of his earliest songs, written before the first album draws direct parallels with Donovan’s Turquoise, surely no coincidence. 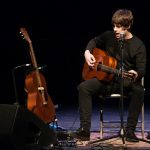 Jake is always going to get a good reception in Liverpool as his sound, particularly his vocals are in the same vein and league as the likes of Howie Payne and Lee Mavers. 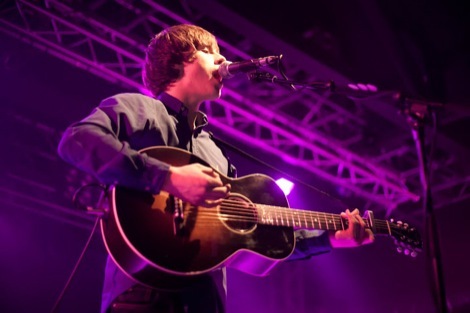 Trouble Town, known as the theme from TV’s Happy Valley could easily stow away undetected on the La’s album. Comparisons are understandable as Howie lent a helping hand to Jake’s songwriting in his formative years. Newer songs have a West Coast sound and embrace Americana wholeheartedly, The Love We’re Hoping For is dangerously close to America’s Horse with no Name, and In the Event of My Demise and How Soon the Dawn leaning towards David Gates and Bread, it’s no surprise when he breaks into Glenn Campbell’s Wichita Lineman from that same era and landscape. The Lost Highway on the cover of the new album suggests a whole new direction and a whole lot of classic influences. 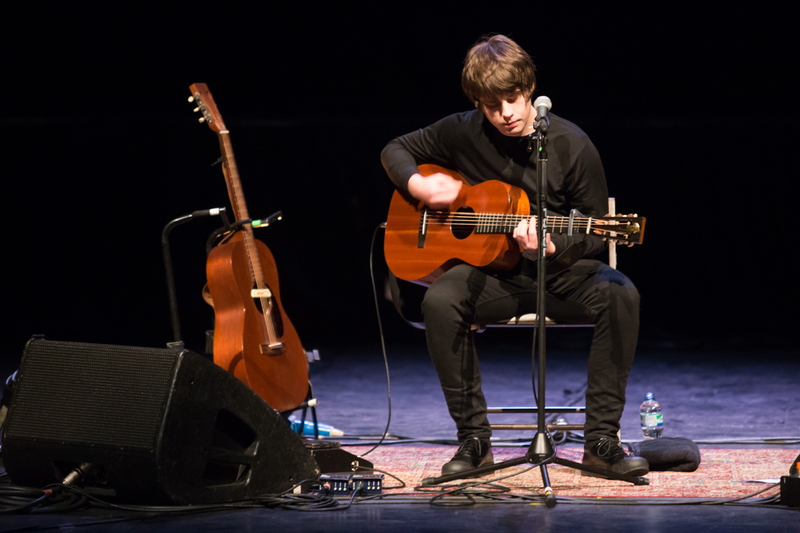 Jake is a humble soul despite his incredible talent and growing stature as a serious singer songwriter, acknowledging the Liverpool legacy of great music he vows to be “on point tonight”. He’s aware that it’s a Saturday night in this party city, and seems concerned that he’s taking up people’s time. Towards the end of the set he promises to only do a few more so people can get on with their night. He doesn’t miss the fact however that most of the audience love him. 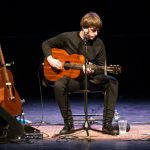 Seated for most of the gig and handed numerous guitars, he stands for Two Fingers, a rally cry early single that must surely have inspired some disenchanted youths to leave home, guitar in hand to seek success. It’s this Working Class Hero stance that appeals and explains his varied following. It also sounds incredibly akin to The Stands. Remaining standing for new single Waiting and crowd-pleasing Seen it all and Broken, our boorish buddies in front are happy now, at least until a big guy in front of them starts raising his fists in the air in an anguished crucifixion posture, blocking their view and ruining their videos which gives some sense of relief to those who have suffered on our row. Jake thanks us all and delivers his signature tune Lightning Storm, driving the whole place wild before leaving without an encore. He returns with a camera crew to wave to us and he is gone. 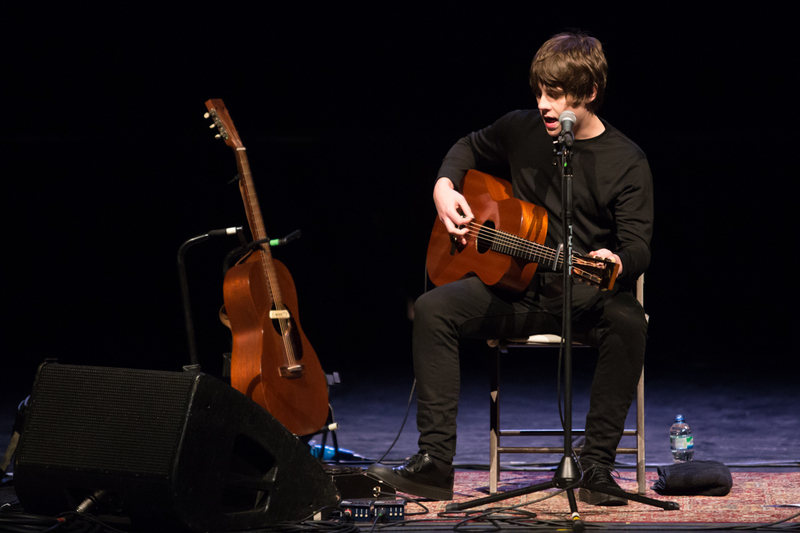 There’s a sense with Jake Bugg that the best is still to come. He’s only 23 and he has a maturity way beyond his years and a huge talent. 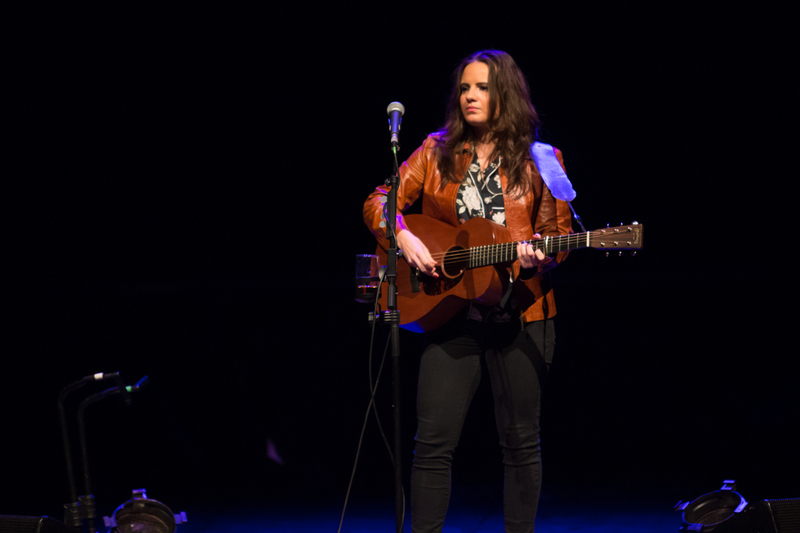 A great gig, twenty songs in less than ninety minutes, and every one a gem. Good work fella.